Regan Beach is a neighborhood beach that offers a little of everything, but not too much of anything. 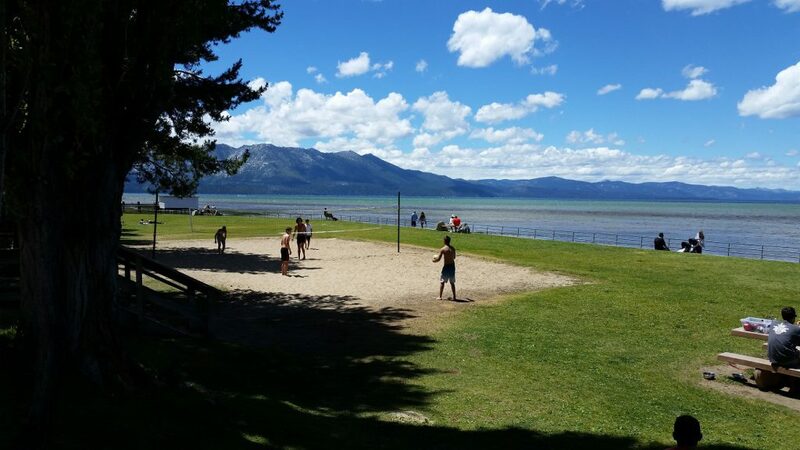 Regan beach has sandy beach areas, a lawn area, sand volleyball court, restrooms and a seasonal snack bar. 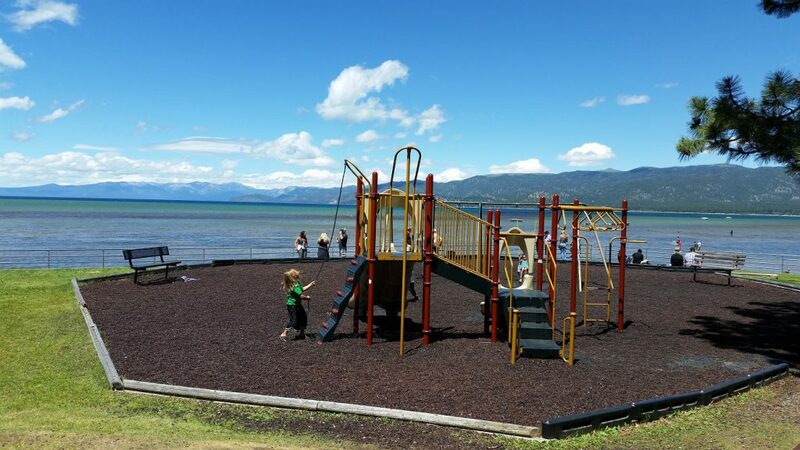 This is one of the only South Lake Tahoe beaches with a playground for children. 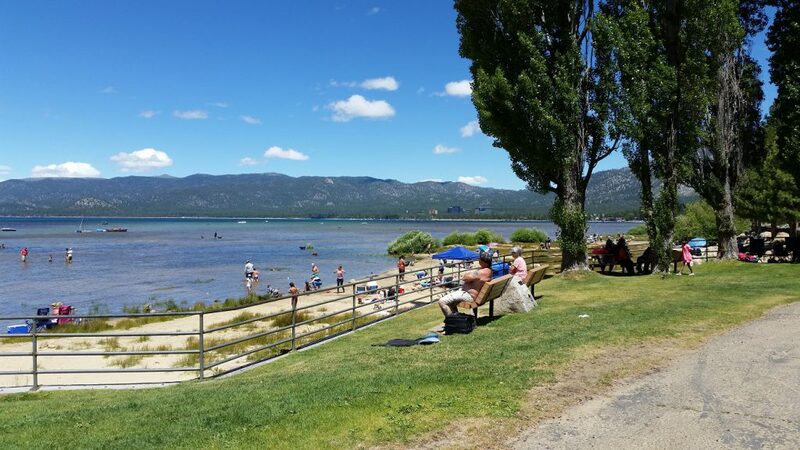 Regan Beach is located about 10 blocks from El Dorado Beach, so it is a great choice when El Dorado Beach is too busy. 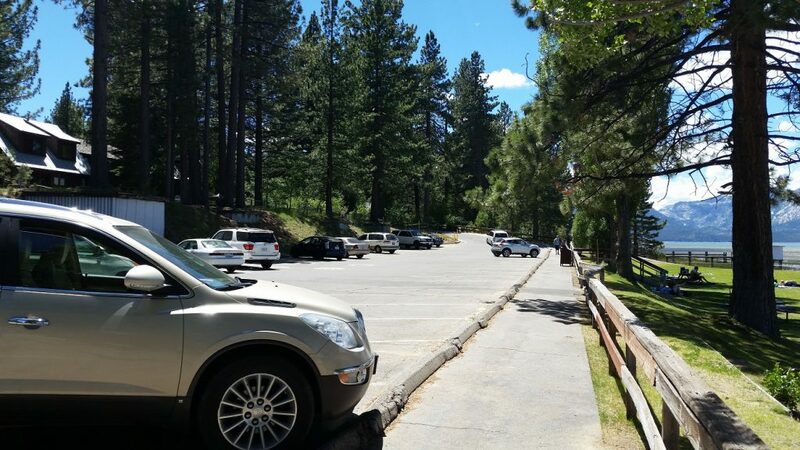 There is also a beautiful lawn area overlooking the lake that is perfect for South Lake Tahoe weddings. Rent a cabin in the neighborhood and get married in South Lake Tahoe. Regan Beach is a little difficult to find if you have not been there before. 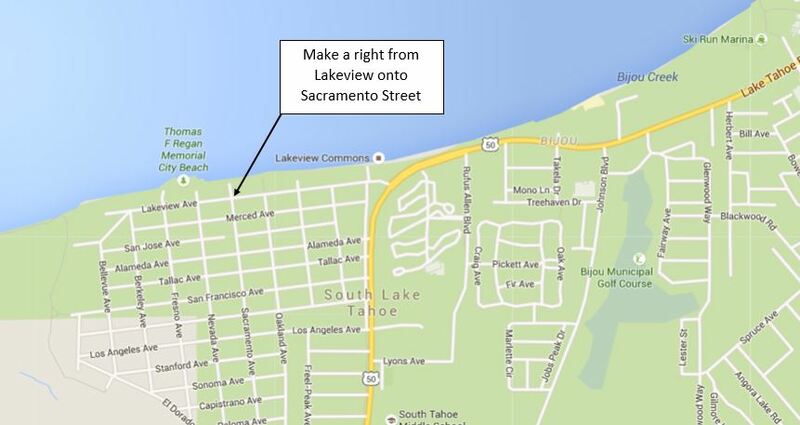 From Highway 50, take Lakeview Boulevard (toward the lake). Go down about 2/3 of the way until you get to Sacramento Street. Make a right on Sacramento Street. You cannot really see the beach from Lakeview Boulevard, so just turn right on Sacramento and you will find yourself in the parking lot. Dogs are allowed in designated areas. Parking is free.